LEAD JUDGMENT BY: MUSA DATTIJO MUHAMMAD, J.S.C. This is an appeal against the decision of the Court of Appeal sitting in Kaduna. By a charge dated 5th July, 2006, the appellant was arraigned by the respondent before the Katsina State High Court, sitting at Dutsin Ma, for the offence of Culpable Homicide punishable with death under Section 221 of the Penal Code. He had caused the death of one Salihu Yusuf on the 3rd day of May 2004 by hitting him with a stick on his head. The appellant pleaded not guilty to the charge. Six witnesses testified for the respondent through whom four exhibits were tendered and admitted in evidence. The appellant testified for himself. He called no other witness in his defence. 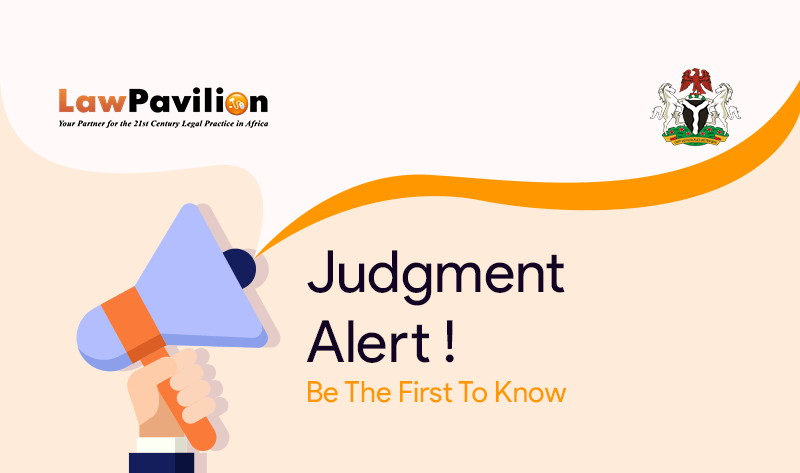 At the end of trial, the High Court found the appellant guilty as charged and convicted him accordingly in its judgment dated 5th December, 2012. Aggrieved, the appellant appealed to the Court of Appeal, Kaduna Division, vide a notice filed on the 14th November, 2013 containing five grounds. Allowing the appeal in part, the Court set aside appellant’s conviction under Section 221 of the Penal Code and substituted it with one under Section 224 of the same code for culpable homicide not punishable with death and sentenced him to ten years imprisonment. The Court determined the appeal on the issue that the available evidence does not sustain appellant’s conviction for culpable homicide not punishable with death under Section 224 of the Penal Code.